Since the age of seven, Michael Stocks has been captivating audiences as an outstanding violinist with a unique style. He toured as a member of the Australian Youth Orchestra for three seasons, was Concert Master of the St. Cecilia Chamber Orchestra for 17 years, and performed in the world premier concert version of “Les Miserables”. In 1996 Michael released a solo electric violin CD, “That Was Then… This Is Now…”, and in 2003 released “A Touch of Tasmania” with singers John de Jong and Diana Briffa, a CD that features Michael’s own compositions and arrangements. As a result of the great success of “A Touch of Tasmania” Michael toured most of the Australian States in 2003, performing at concerts and festivals. 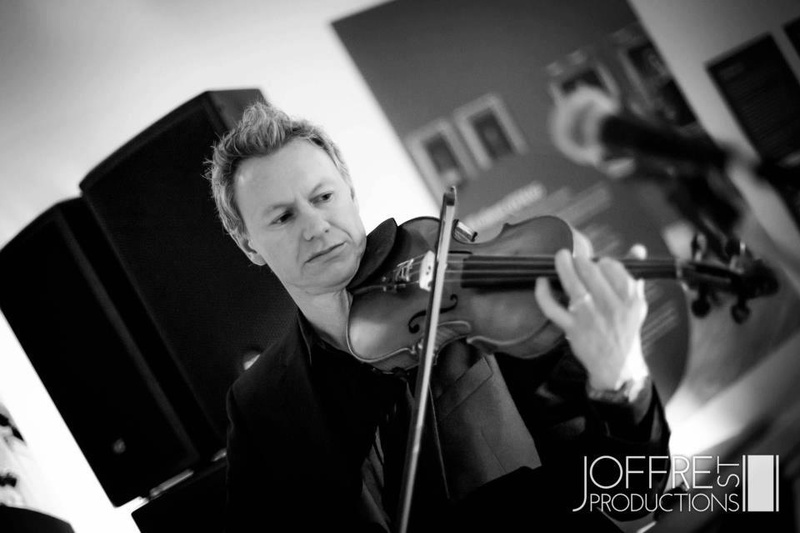 He also performed electric violin solos around the UK in 2004. For many years he has been held in high esteem as a composer and arranger. He has published over 50 books for violin, string orchestra and piano, and has recently released a series of Music Theory publications under his publishing company, Dynamic Publishing. Michael holds both a Licentiate and Associate Performers Diploma with Trinity College London, as well as a Licentiate Teachers Diploma. He returned to Tasmania at the start of 2012 to raise his young family. Prior to this Michael was the Director of Strings at the Emanuel School in Sydney, as well as being President of the Australian String Teachers Association, NSW. He is well known for achieving outstanding results from the ensembles and individual students that he has tutored.